Handcrafted Homes, Inc. President and Founder Judy Mozen and Vice President Randy Urquhart accepted the CotY Awards. Handcrafted Homes, Inc. (www.handcraftedhomes-inc.com), a home design, construction and remodeling company, has won two CotY (Contractor of the Year) awards from the Atlanta Chapter of NARI, the National Association of the Remodeling Industry (www.nariatlanta.org). 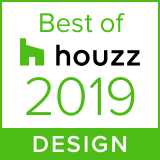 The Roswell-based firm took top honors in the category of Residential Interior From $75,000-$150,000 and Residential Interior Under $75,000. Read more at Roswell Patch.